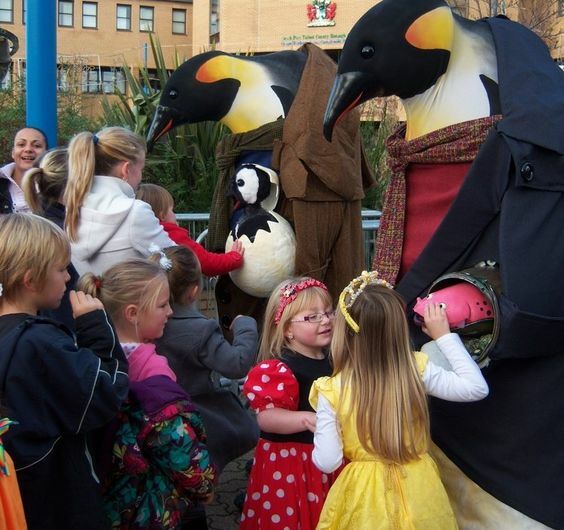 Animatronic puppetry and creature based walkabout street theatre performance. Lock up your fish! Starring the infant phenomenon Baby Egbertah and Urving Mackerel Esquire the talkative fish supper. 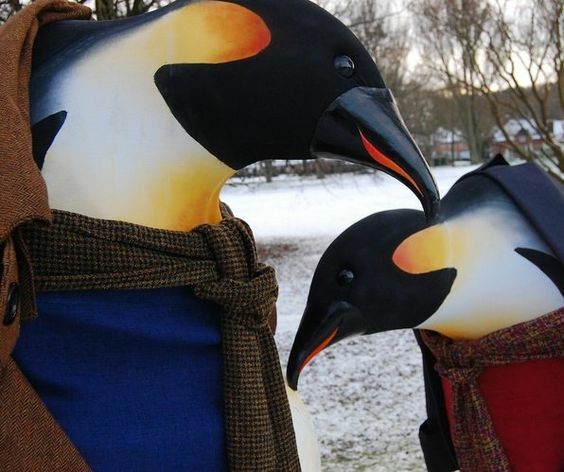 These pint sized pip-squeaks will be carried around by two inquisitive larger than life birds. 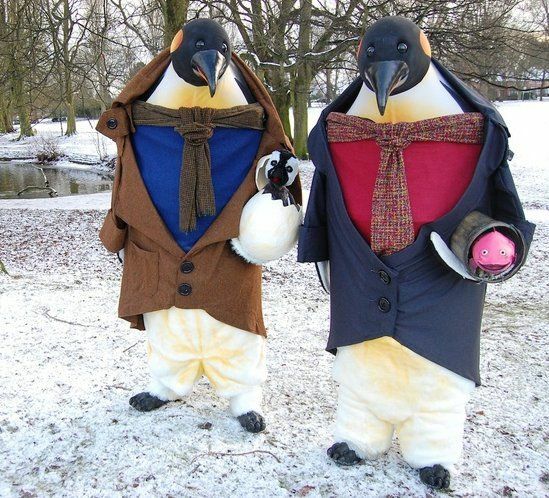 The Penguin Family have arrived! 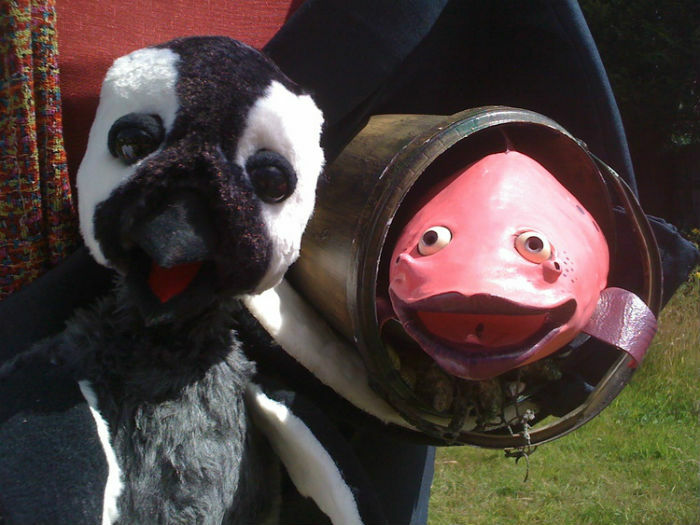 For environmental events Baby Egbertah adopts the persona of an environmental activist, whilst Irving Mackerel Esq. becomes a climate change denier. Their comic banter illuminates and entertains, it’s the ultimate walkabout edutainment! 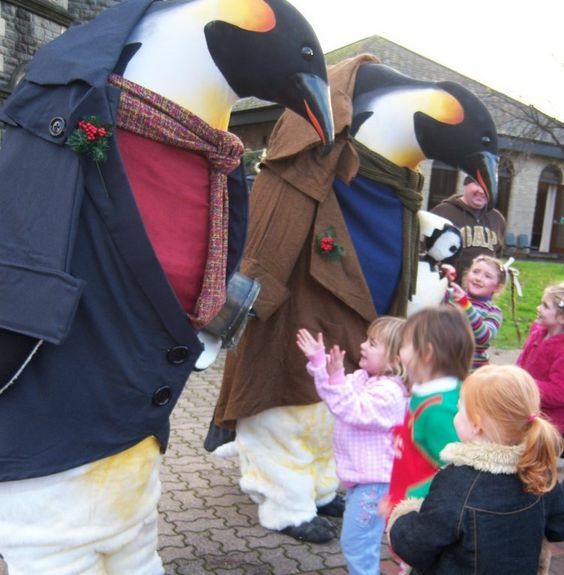 Combining animatronic costumes, traditional puppetry, strong characterisation and witty banter, these gentle giants and their rumbustious charges are sure to enchant at any Christmas, Winter or Environmental themed event.